Is the regular buying of earphones burning a hole in your pocket? Do you wish you could get a great pair that lasts long and is cheap? 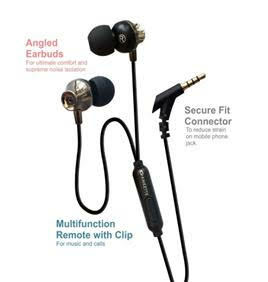 Amkette brings you the perfect solution to your problems – the Amkette Trubeats Ergo Fit Earphones. The impeccable angular in-ear earphones are ergonomically designed to provide supreme comfort to your ears and enjoy your favorite music at the same time. 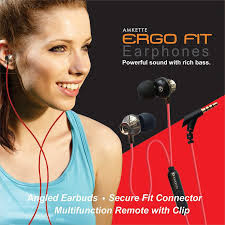 Ergo fit earphones with angular ear-buds offers you a seamless music experience with noise cancellation and prevents the earphones from falling out even when you’re walking or jogging. Designed for comfort, these earphones come with a mic and remote control and are compatible with all android and iOS phones like Samsung, Vivo, Xiaomi, Moto, Lenovo and iPhones. The Earphones come with a thick TPE (Thermoplastic Elastomers) cable which lasts longer than the ordinary cables along with a warranty of one year. 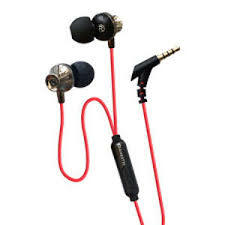 The earphones have been designed with attention to provide detailed attention to provide high quality music experience at a very affordable price. The earphones connector is also designed at a 45-degree angle which will keep your smartphone’s jack strain free. The angled ear-buds fit safely into the ear canal resulting in supreme comfort and noise isolation. The power packed large 10mm neodymium drivers produce powerful sound with rich bass. 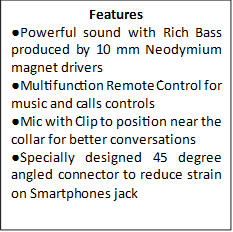 The multifunction remote control with mic lets you control music and calls swiftly. Here is a product that combines high quality with affordability, making your everyday musical. Amkette Trubeats Ergo Fit Earphones are available at an attractive price of Rs.499 and is available at all online and retail outlets across India. Amkette is one of India’s most innovative solution providers that designs products specifically keeping in mind the need of its users. Started over 30 years ago, the company continues to drive technologically advanced products that go well with all age groups. Having its pedigree in manufacturing, innovation and marketing, Amkette has created a highly enviable brand recognition in the industry and in categories that include – Audio, Gaming, Streaming, Mobility and computing. With its state-of-the-art R&D, inclusive pricing, reliable products and delightful services, Amkette is consistently making technology an integral part of people’s life. Focused on redefining the digital lifestyle of users, the company is well known as the next generation tech innovators of India.